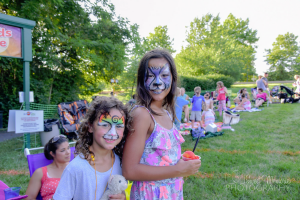 Food & Fun – Broadlands LIVE! This is a BYO A, B and C event! BYOAppetite! You’re welcome to bring your own goodies but why not keep it simple and support our local food vendors! They’ll be onsite serving up delicious dinner, scrumptious snacks, and sweet treats. Our fundraising vendor will have water, sodas and fun novelty items for sale as well. BYOBeverage! Alcoholic beverages may ONLY be consumed within our fenced-in Beer Garden. For safety reasons, please leave the glass and glass bottles at home! If you intend to drink alcohol, whether you are 21 or 81, YOU MUST SHOW ID to receive a wrist band – no exceptions. BYOCash! While this event is free to attend, bands often sell t-shirts, CDs and other cool merchandise that you might not want to leave without! Our food vendors accept cash only, so come have dinner and a show on the cheap at Broadlands Live! Show & Glow!!! Pick your favorite color from the selection of glow novelties that will be sold by our fundraising vendor. COME AT 5pm FOR SOME AWESOME KIDS’ FUN! 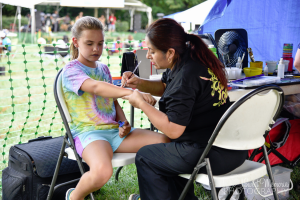 Gorgeous face painting by Mike Becvar and Sonia Flores – come early to avoid the lines! Tips appreciated. 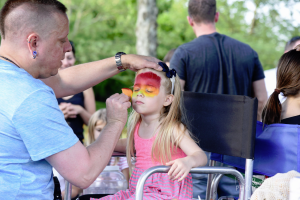 Have Fun & Support Your Local Community at Broadlands Live!